Wrap yourself in Corvette comfort with this 63” x 86” throw blanket/bedspread. This is a hi-pile Raschel knit blanket with a soft and luxurious feel. 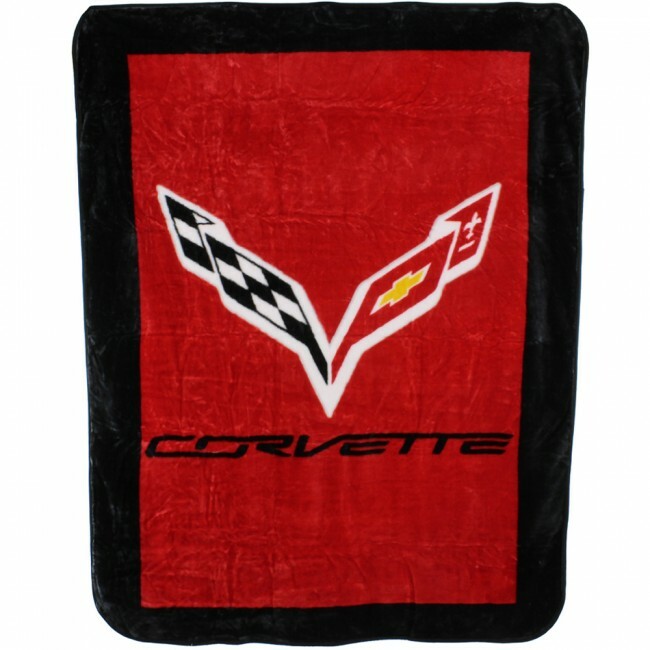 Made of 100% polyester, its machine washable. 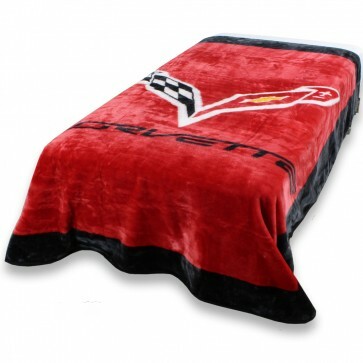 Great for relaxing by the TV, picnics, attending your favorite sporting events and also as a twin size bedspread. Imported.